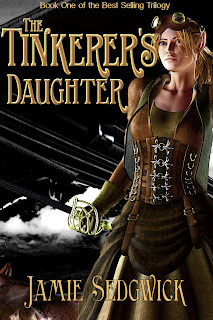 Well, it has been a few years (or more) since I made any changes to my Tinkerer's Daughter covers. I've been pretty happy with them for the most part, and I think I can credit the ongoing success of this series in part to the covers' abilities to draw readers in. The first step to selling a book is, after all, enticing someone to pick it up. I think it helps to revisit old covers, descriptions, and maybe even the stories themselves from time to time just to make sure improvements aren't warranted. There's always room for improvement and depending on the situation, it may or may not be worth the time and trouble. In this case, the cover to T1 was decent. At the time I published it, I think the art was comparable in quality and appeal to most of the market. The market has grown since then -it has become more sophisticated, more mature, and the art has as well. I've been thinking for a while now that this cover needed a little sprucing-up, and it just so happened that I had some time on my hands this week. Pretty fancy, huh? Like I said, it's not a major change, but you can see how zooming in on the main figure makes a stronger cover, at least in the fantasy genre. This new font is unique like the old one, but perhaps more visually appealing, and the color treatment and beveling makes it seem more integrated with the artwork. Overall, I think the effect looks more professional and polished than the original, even if the artwork itself is virtually unchanged. What do you think? Should be Dead is running at a promo price of just $0.99 this week. Grab a copy at Amazon before the price goes back up! Nothing more to add at the moment. I'll post a writing update here soon. In the meantime, have a great week! The Devil's Road is finally live on Amazon. 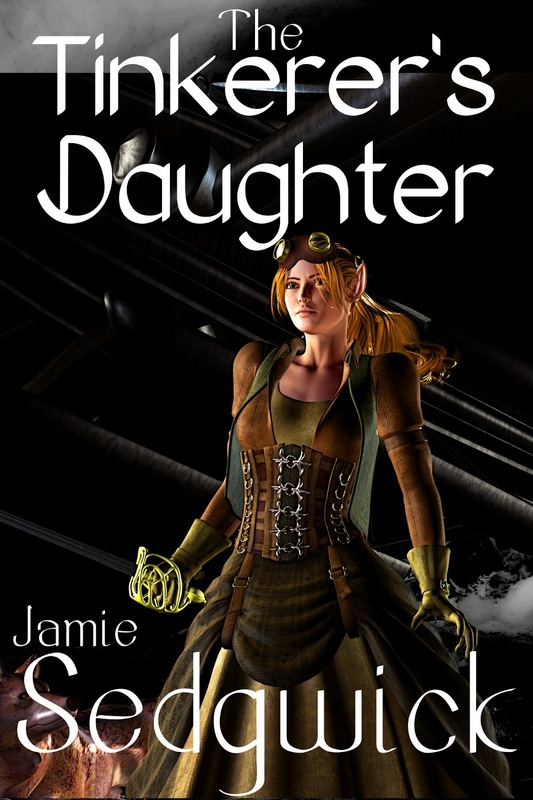 The introductory price is just $0.99US on Kindle, but that price WILL go up, so grab it now. Here's the link for Kindle. You can also buy it in paperback for just $9.99US. It is currently available on Prime at that price! It is also available in the Kindle Library for KU subscribers. That's it for now. Have a great week and enjoy the new Valkyrie story! ...And it's about time! All I can say is I'm sorry. 2017 was a rough year, and things that would normally take weeks ended up taking months. Books I expected to finish last summer are only just now coming to fruition. 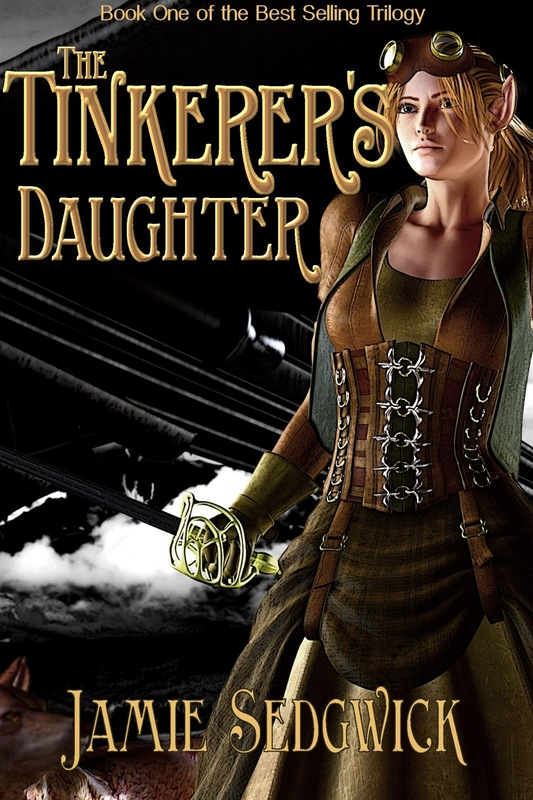 Valkyrie is one of my most popular characters, and I should have finished this book long ago. She deserves better and so do her fans. I promise I'll get number three out much faster next time around. In the meanwhile, It is my hope that book two will not only live up to everyone's expectations, but maybe even raise the bar a notch. 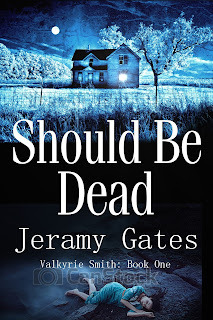 "Valkyrie’s search for the serial killer who murdered her family leads to an isolated Montana town with a shady past. It seems to be a quiet, peaceful place now -the sort of place where folks don’t lock their doors at night- but something evil still lurks just beneath the surface. Valkyrie is close. She can feel it. The Collector is here, and this time she’s determined to catch him. But will the local police chief distract her with his investigation into the town’s rash of abductions? Is it possible that these murders could also be the work of the Collector , or is it just another diversion from her real goal? Valkyrie’s resolve is being tested, and this time what she learns about the killer will change everything." So after a long, long wait, I'm happy to say this book will finally go live this month (Feb. 2018). I'm waiting to approve the paperback and final edits, which means The Devil's Road may very well be available next weekend (2-10-18), or the following week at the latest. In related news, my young adult action/adventure novel Shadow Born will be free on Kindle at Amazon this weekend, and book two in the series Shadow Rising, will be reduced to $0.99. 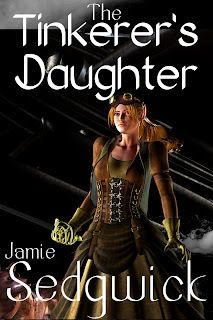 Also coming soon is the fifth and final book in my Iron Horse steampunk series. I'll save the details on that for a later post. Thank you everyone for your patience. Let's have a great 2018!